Various groups and individuals are starting petitions against SB-827. Here are some links to those petitions and their arguments against SB-827. The following petition was started after freedom of speech was over-ridden by a pro-SB-827 group on April 3rd, 2018. "To: Scott Wiener We demand that you denounce Yimby disruptive practices. SB 827 has the potential to cause harm to vulnerable communities and to the environment. We ask you to put SB 827 on hold until there is room for the dialog that all our communities deserve." For more information on this event, please go to the SF BOS hearing 4/3/18 page. Thank you! "We, the undersigned, oppose SB 827 on the grounds that it will not achieve its stated goals of lowering housing costs and increasing transit ridership. It is not possible to make true progress in either of these areas without careful, comprehensive planning. SB 827 negates the efforts of citizens and elected officials to plan for growth in their communities. It is a reckless and thoughtless attempt to impose a draconian, "one size fits all" approach, which ignores the need for adequate infrastructure and public services. There is no point in trying to amend SB 827. It is fundamentally flawed, and should be abandoned. " "NO to SB 827 & SB 828! 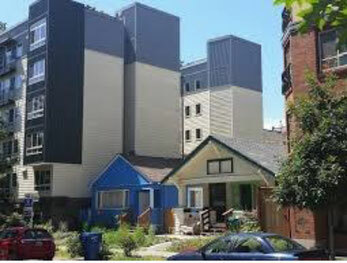 Stop Top-Down Planning & Unsustainable High-Density Housing Growth!"